The world of online poker is full of #1-ranked players. Here's a sample of who is leading the way in their home country. Both PokerStars and partypoker announced their schedules for their massive fall online poker series this week, which means it’s time for the elite online players in the world to get back to the business of grinding. 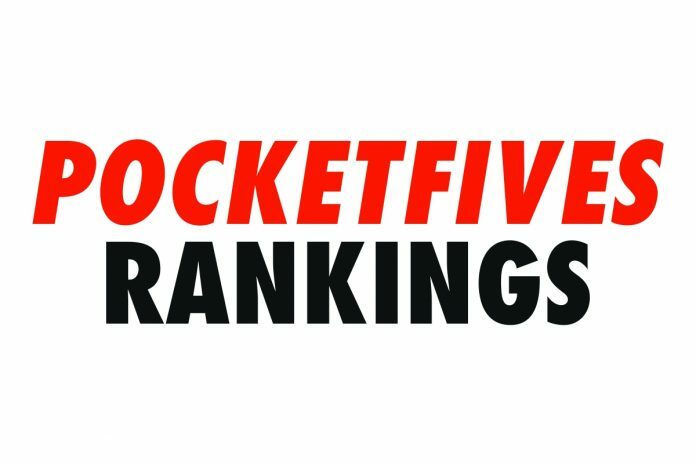 Once again this week, the PocketFives Worldwide Top 10 Rankings looks very similar to the way it has shaped up for the previous month. There have, however, been some minor shifts in position as players attempt to put themselves in good positions prior to WCOOP and POWERFEST. The top spot in the rankings remains the same as ‘lena900’ enjoys yet another week as the world’s #1. If there’s one player who is expected to anticipate the large guarantees of the fall online series it would be ‘lena900’. After all, it was his superior performances in the massive spring series that helped propel him above the current #2-ranked ‘C Darwin2’. For both of these Swedish superstars, this summer has been a quiet one. Both have spent quite a bit of time away from the online scene. For ‘lena900’ it’s the second week in a row that he’s been unable to capture any PLB qualifying scores, watching his PLB total dip below 12,000 for the first time in over a month. ‘C Darwin2’ on the other hand picked up a little ground by taking home over $21,000 and 279.43 PLB points for his runner-up finish in the July 29 edition of the partypoker Sunday Big Bounty Hunter. A player who is likely eager to pick up some ground this fall is Russia’s ‘hellohellohello’. This week he remains in the #3 spot, over 1000 PLB points from reaching the Swedish duo. Although he was unable to pick up any PLB points this week, he did just recently hit a new career milestone of over $7 million in lifetime earnings. Canada’s ’GINS FINEST’ has finally surpassed Roman ‘Romeopro’ Romanovsky to touch the #4 rank for the first time in his career. He was assisted by a final table finish in the July 29 edition of PokerStars Omania High Roller where he picked up over $6,000 and 109.69 PLB points. The Montreal resident continues to climb the ranks of the top 10 and is currently only 214 PLB points away from making a run at the top 3. Romanovsky slips to the #5 ranking, still keeping his distance from playing online. Putting in his grind though is Ramiro ‘Ramiro’ Petrone who jumps up one spot to #6 this week. Petrone booked over $26,000 in cashes this week, highlighted by a victory in the PokerStars Hot $109 for $6,532 and 187.62 PLB points. In total, he earned 439.44 in qualified PLB points. Another player who has not let off the gas is the UK’s #1-ranked player, Jonathan ‘proudflop’ Proutfoot, who checks in at a career-high ranking of #7 this week. He helped himself hit new heights with a fantastic score of $27,938 and 382.75 PLB points in the July 29 edition of the PokerStars Sunday 500. Proudfoot is knocking on the door of over $2.5 million in lifetime cashes, sitting under $60,000 away from the milestone. It’s likely, with his skill and volume, he’ll reach that mark by the end of the fall series. Andres ‘probirs’ Nemeth slips two spots to #8 on no volume while both Fabrizio ‘SixthSenSe19’ Gonzalez and Patrick ‘pleno1’ Leonard keep their same rankings from last week, #9 and #10 respectively. Other Top 25 Notes: While there was some shuffling in the top 25, there were no new additions. The biggest move of the week belongs to Austria’s ‘Dattebayo’ who jumped up eight spots to land at #13. He picked up a pair of five-figure scores on July 29, including a victory in the partypoker Super Sunday High Roller for $40,828 and 380.79 PLB points.